Can anyone tell me how they find their rocks for their tanks? 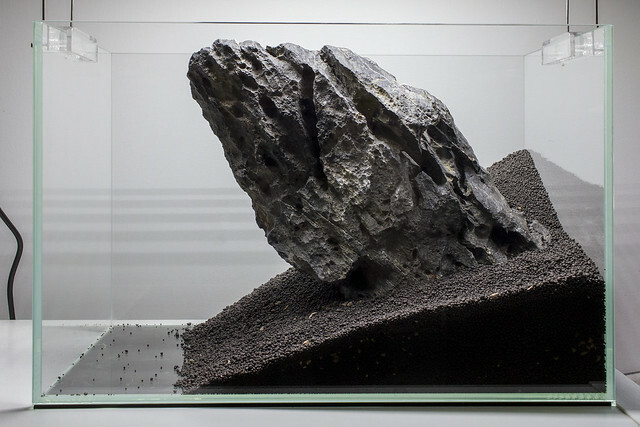 Thread: Can anyone tell me how they find their rocks for their tanks? I'm interested in where to look or what to look for. Dantrasy's tank for eg has some amazing looking rocks in it. Should I start looking around old Volcano sites or something? Those stones are dragon stone. Generally about $10 per kilo at LFS. You wont find it locally..
Actually, am I able to try something different... maybe a bluestone or something? Or is that a no go? Always check local landscape suppliers before handing over money to aquarium / fish stores, they mark hardscape materials up big time, you can also buy boxes of rocks from big chain pet stores such as petbarn etc. Last edited by doylecolmdoyle; 07-06-18 at 02:35 PM. Blue stone (blue steel) doesn't need testing etc and doesn't leech. It is absolutely fine to use. Usually for $5 you can get about 30kg of it from the landscaping supplies. I think it's usually $100 per ton. The main problem with it is that it is boring and makes tanks look small. The reason for people going for expensive stones is that they have very fine detail which improves illusion of size. Where the bluestone contrast nicely against ADA amazonia and the green moss/carpet. I'm really liking Iwagumi stone too though. Last edited by dylan86_exe; 08-06-18 at 11:17 AM. The big Seiryu stone I got for this tank was sourced from a landscape supply and this stone alone was just over 9kg, I think it cost me about $50 bucks. The Pisces boxes are generally pretty small stones, you can try glue them together with selleys knead it. Maybe also consider using slate, you could get a simple effect buy using a big "slice" of slate rock, which could look pretty cool, perhaps even stacking multiple slices of slate together to create the hanging cliff effect similar to your drawing. Last edited by doylecolmdoyle; 08-06-18 at 11:47 AM.